You'll be £12.99 closer to your next £10.00 credit when you purchase The Adventures and Inventions of Stewart Blacker. What's this? 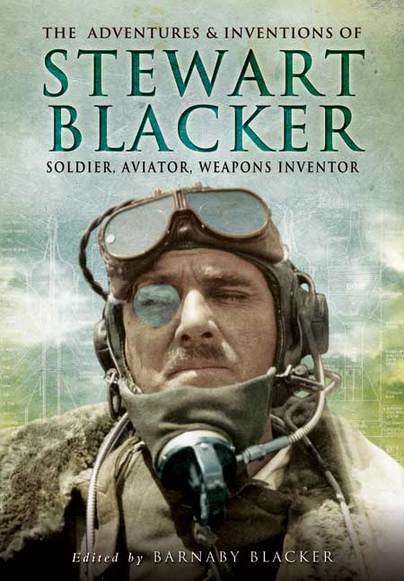 Stewart Blacker was a remarkable figure. His inventions were used with significant effect both in WW1 and WW2. Most notable of these was the synchronised machine gun, attached to fighter planes that could fire through the propeller. He also designed the PIAT anti tank weapon which was used with dramatic effect during WW2, from Normandy until the end of the war. The book argues that with less obstruction from officialdom, the PIAT could have been ready at the start of the war to stop Blitzkreig in its tracks. As an aviation pioneer, flying (and crashing) planes soon after the Wright Brothers, he found himself in charge his Majesty's Air Force at the outset of WW1. Later after having seen the awful slaughter occurring in the trenches and feeling guilty he had chosen the easy option, he joined up with his old regiment and fought at Neuve Chapelle until he was injured in 1917. During the interwar years he continued to fly and develop weapons and was the first man to fly over the top of Everest. This great book is wedged full of interesting stories, like Blacker’s flight over the towering Mount Everest, or his exciting exploration of Persia. Unfortunately, there really are far too many amazing anecdotes to sufficiently do the book justice in my short review. If you want to learn more about this influential and extraordinary man, I can highly recommend this very interesting book. Blackers grandson has made a very good job of compiling an absorbing biography, using documents from the family archives. It is a story that hits so many points of interest and deserves to achieve a wide readership, providing a very human story of a remarkable individual and an environment that was so very different from the world today.